Hull City vs Stoke City predictions ahead of this Championship clash on Saturday. Read on for our match preview and free betting tips. Hull have kicked up a gear in recent months, and things are looking up for them going into the next few months of the season. They’ve moved within six points of the playoff places, thanks to their excellent form. However, they suffered a blow last weekend, when they were beaten 3-0 by Blackburn at Ewood Park. Can they get back on track when they host Stoke on Saturday? The Potters are struggling under their new manager, and their issues are set to continue this weekend. Hull have to respond after winning just one of their last four matches. They have had trouble away to Blackburn, Aston Villa and Millwall in January, but will Nigel Adkins get his side back in the hunt for the top six? They’re in a much better position now than they were a few months ago when they were in danger of dropping into League One. The Tigers have still got the best form from across the last eight matches in the league, which has pushed them up to the edge of the top half. Only five sides have been worse in the last eight games than Stoke City. Nathan Jones took over after the Potters’ troubles continued. They’ve failed to mount any push for promotion, while they were knocked out of the FA Cup in the Third Round. 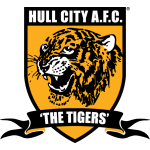 They’ve had essentially an identical season to Hull – there are only two points between them, and they were both knocked out at the first hurdle in the cup this month. However, the way they’ve been playing has given a very different feel to the two clubs’ campaigns. Both sides had their issues early on this season, but Stoke have been unfailingly inconsistent. Meanwhile, Hull started out in awful form. The Tigers have picked up more points in their last 10 games than they did in their first 19, which has given them an air of confidence, despite these two being lodged together in the middle of the Championship table. However, that form does count for something in this clash, especially as Stoke have lost three of their last four. 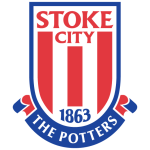 The hosts have put together a four-game winning streak at home, while Stoke have been busy losing against the likes of Preston and Shrewsbury. While Hull only have six wins at home to their name in the Championship, recent form suggests that,that tally will grow. The Potters come here with just two away wins in 14 trips this season, failing to win in seven on the road. That points us towards backing a high scoring Hull side, who are excellent value here on the Draw No Bet market.